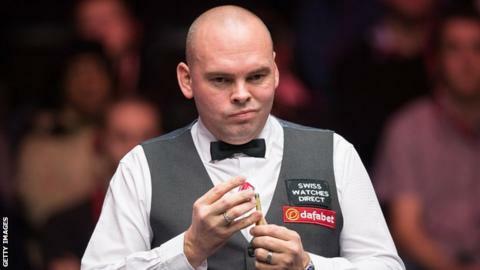 Stuart Bingham has said he was so bad in his Masters defeat by Marco Fu on Sunday that he "didn't know" what he was doing at times. Basildon-born Bingham, 38, lost 6-3 in the first-round match to Hong Kong's Fu at Alexandra Palace. "Marco punished nearly every one of my mistakes," he told BBC Radio 5 live. "My performance was shocking. I just can't seem to play here. I've got a great following here, so I'm disappointed." Bingham won the second ranking title of his career at September's Shanghai Masters and is ranked eighth in the world. But he has never been beyond the first round of the Masters and has endured a tough week, after losing all six of his Championship League group games on Wednesday and Thursday. "I had two days at the Championship League where I totally lost my focus and timing, I played awful," he said. "I've maybe lost a bit of confidence. Some of the shots out there I didn't know what I was doing. "Like the World Championship, I put this tournament on a pedestal. I'd love to do well here - and maybe that's why I'm slipping up."